Tourrettes is a picturesque hill-top village in the Pay de Fayence, one of a cluster of tiny historic villages nestled in the middle of the French Riviera. The village perches on the hills in a sprawling spiral all around the clock tower, with spectacular views of the mountains surrounding it. The village is made up of narrow winding streets and paths that lead down to the Mediterranean. 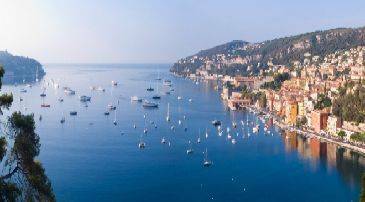 Tourrettes is ideally placed between the gorgeous, historic countryside of the Riviera and the Mediterranean beaches on France's rocky coast. Summer France residence Les Bastides de Fayence is perfectly placed to enjoy everything that Tourrettes has to offer. Saint-Cassien Lake is a 30-minute drive away - a beautiful lake famous for its water sports and swimming in clear blue waters. 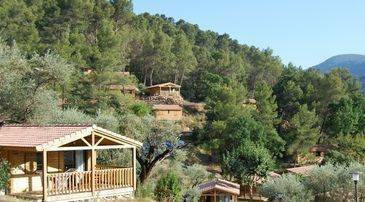 You are ideally situated for a peaceful holiday of hiking and relaxing in stunning Provençal surroundings. A trip to Tourrettes is ideal for those who like taking in the tranquil countryside and historic village streets alike. Explore the winding cobbled streets of the village with traditional French houses with shuttered windows. In the middle of the village you will find the 11th Century Church of Saint André and the 14th Century clock tower, around which the village is centred. The village is peppered with beautiful open squares shaded by olive trees where you will find local markets on certain days. The village has the untouched feel of historic France, with warm Provençal colours and cobbled walkways everywhere you look. The views from the clock tower are magnificent; looking out onto the Provençal countryside. For a day out of Tourrettes village, a visit to Lac St Cassien is a must. A huge man-made lake that spreads around many different towns of the region, this makes for a beautiful trip. The lake is wild looking, surrounded by trees and fantastic wildlife. As well as swimming in the untouched, clear waters (to make a change from salty beaches) the lake has an aqua park with inflatable bouncy castles and trampolines on the water, fantastic if you are travelling with children. You can also hire pedalos here and small sail or electric boats to take out into the deep, cool waters of the lake. The countryside surrounding the lake is also a stunning nature reserve and some excellent hiking can be done here, among ancient forests and many species of birds as well as Roman ruins. Perfect picnic spots are dotted around, and on the way to the aqua park there are several restaurants as well. The lake is easy to get to from the Summer France Residence and is well worth a day trip for fishing, swimming and water fun. The village of Tourrettes is small but is in the middle of the Fayence region, which is made up of charming villages well worth a visit. The town of Fayence holds brocantes, or flea markets, and fresh produce markets, and is a centre for artists and artisans so you antique hunters and art lovers might like to visit here. The markets are among the best in France, especially good for seeking out Provençal pottery. Feyence also holds festivals in July and September. Just 10 minutes' drive to the south of Tourrettes you can visit the Spa Aquaroma for a luxurious and relaxing afternoon. The spa has an outdoor pool and sauna, Jacuzzi and hammam to ease your muscles after hiking. Just outside the town of Fayence is the Fayence-Tourettes aerodrome and from here you can hire gliders and get lessons or go up with an instructor to look down on the spectacular countryside. This is one of the most famous and popular gliding centres in Europe and hosts world gliding competitions as well as the Provence Cote d'Azur Aeronautical Association. 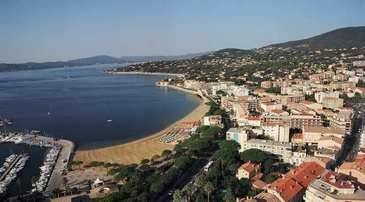 The nearest beaches from the Residence are under half an hour’s drive away and you can reach the stunning beaches of the Cote D'Azur or Cannes. 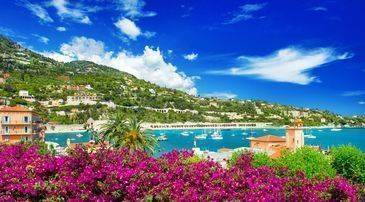 Take a trip to the gorgeous and secluded Calanque d'Aurelle with its azure waters and cove-like beach, or head to the more popular Cannes for nightlife and meals on the water front. Tourrettes has several well-recommended eateries, with tables under shady trees overlooking stunning views of olive groves. Most food will be local, Provençal cooking, so expect traditional beef stews and ratatouille. Provence is well known for its excellent cuisine, be sure to try goats cheese and tapenade - made from locally grown olives - as local specialties. You are spoilt for choice for places to eat in Tourrettes for a quiet, special romantic meal or a family feast. For the times that you'd like to relax and stay close to home, our residency offers an on-site restaurant, located in the golf course Club House, where you can also enjoy WiFi access. Another option is to make use of the on-site kitchen facilities; all houses, villas and apartments are equipped with a refrigerator, microwave, oven, hob and a washing machine. You will also find local supermarkets and amenities within a few kilometres of the resort.